tennis specialty retail stores in the metro Atlanta area. Our stores in Buckhead, East Cobb, Johns Creek, Milton, North Gwinnett, Roswell, Sandy Springs, South Forsyth and West Cobb stand to serve all areas of metro Atlanta providing for all the equipment needs of tennis players of all levels. We are home to Atlanta's Best Selection of Tennis Merchandise. What is now Your Serve Tennis began as a small stringing operation in a Chamblee garage in 1974. 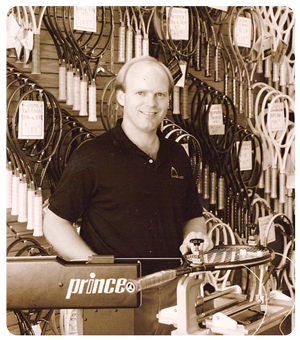 Founder Dale Queen began stringing at age 17 and opened the first Your Serve Racquet Shop in Doraville at age 19. 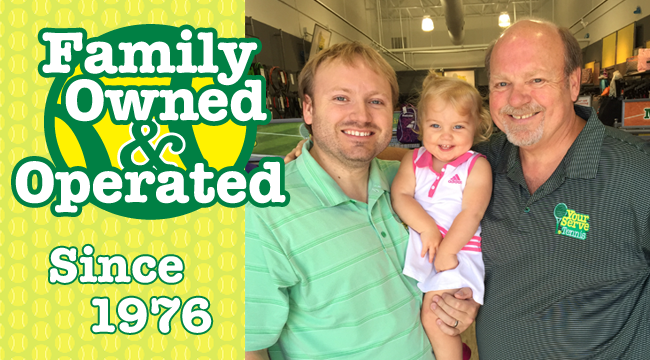 Since 1976, we have transitioned from Your Serve Racquet Shop to Your Serve Sports to Your Serve Tennis & Fitness to Your Serve Tennis. We have expanded to seven retail locations serving all of Metro Atlanta. Over the years, our stores have grown from stocking mostly racquets and strings to offering Atlanta's Best Selection of Tennis Racquets, Shoes, Clothing & Accessories. In 2001, we were honored to be named the inaugural Tennis Industry Association Retailer of the Year. In 2014, Your Serve Tennis was once again named the Tennis Industry Retailer of the Year. Founder Dale Queen is a pioneer in racquet stringing. He has been named United States Racquet Stringers Association Stringer of the Year and was the first in the US to offer a 1 Hour Stringing Service. We pride ourselves on our stringing service and offer the YST Stringing Advantage. We stand behind our stringing services with a Stringing Satisfaction Guarantee.